This is one of the best close-up miracles ever developed. Perform it right under the noses of the spectators and watch their reaction. You show two playing cards. Take out a match stick or borrow one. Now you place the picture of the Lady (supplied) on one of the cards, you give your magical spell (?). 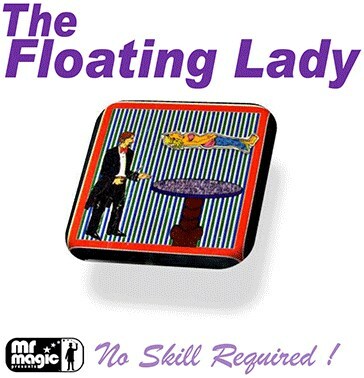 Slowly and visibly the Lady floats above the card about half of an inch. This is no visible support, yet it rises up. To further prove that there is no support of any kind, you pass the other playing card under it! Again at your command the Lady comes down and rests on the card.